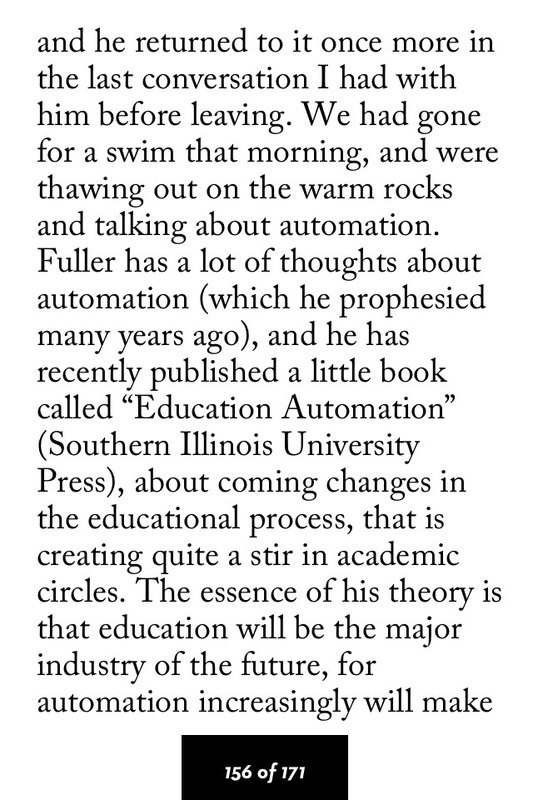 Fuller on the future of education – 30 years ago! 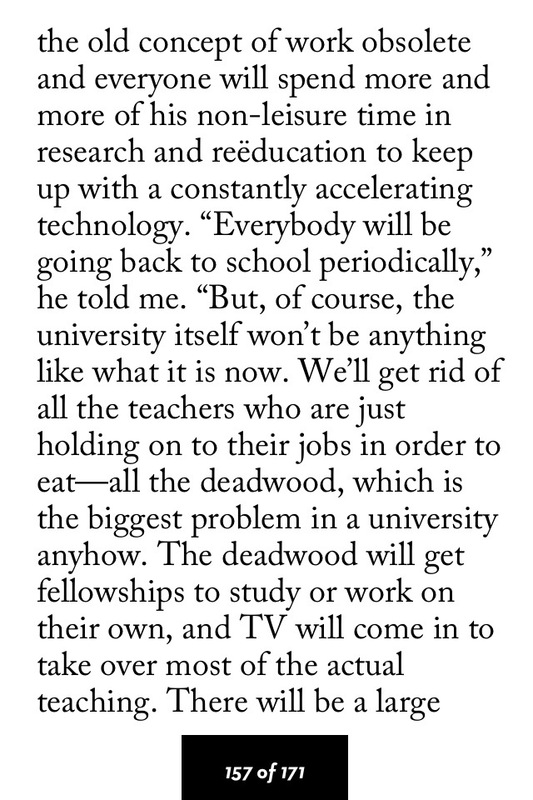 On a whim, I purchased access to a bundle of technology articles from the New Yorker, enjoying these long-form essays from the past years and decades. 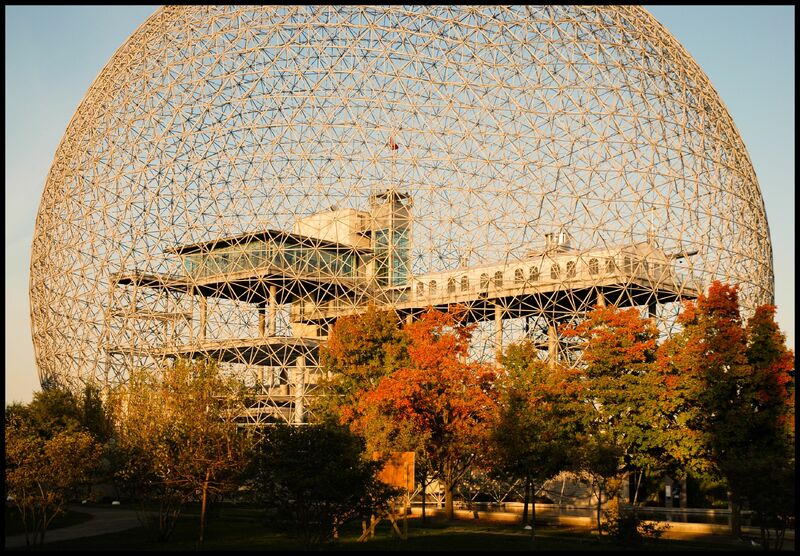 One of them, “In the Outlaw Area” by Calvin Tomkins (The New Yorker, January 8, 1966, p. 35), presents iconoclast architect and all-around scientific great Buckminster Fuller, whose work is fully visible from the Montréal skyline since the 1967 World Expo. 3D printing in Libraries & welcome Mike Groenendyk!